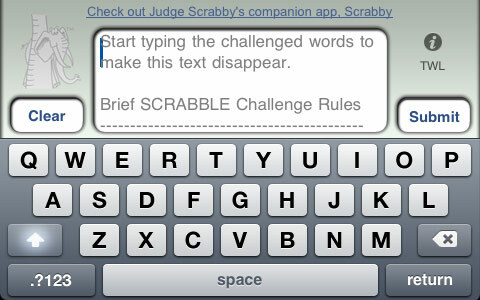 I recently submitted Judge Scrabby, a companion application to Scrabby (an anagram and Scrabble word finder), to Apple’s App Store. The application is very simple and, in my humble opinion, does one thing extremely well. Judge Scrabby simply tells you whether or not a challenged set of words are valid according to Scrabble game rules. I figured in about seven days time I’d hear back from Apple with my approval and I’d be off on my merry way. 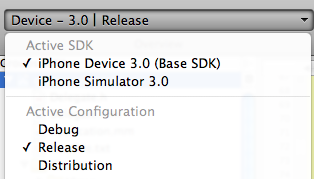 But alas, life with Apple and the App Store is far from easy sometimes. Scrabby, the Scrabble word finder, is now available on the iTunes App Store. Pick up a copy. It’s free for a limited time or forever. I haven’t made up my mind yet, so take advantage of my vacillation and get it while it’s free.